It strikes fear into the hearts of new cytometrists. Compensation. More fights have started over the proper way to compensate at meetings than anything else. This article will strive to shed some light on the principles of compensation, and equip you with the tools necessary to achieve compensation mastery for your research experiments. 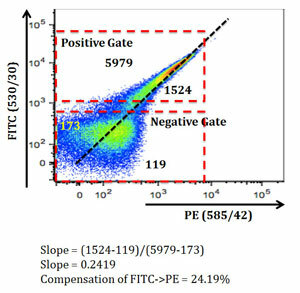 Compensation is one of the most critical, and yet poorly understood topics in flow cytometry. 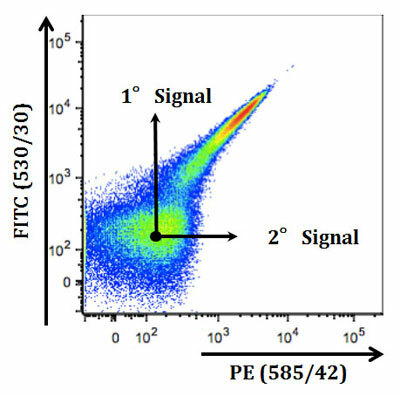 Like setting the proper voltage and knowing where fluorochromes excite and emit, it is critical to successful cytometry. Understanding compensation is rooted in an understanding in the physics of fluorescence. It is the consequences of fluorescence and the construction of our cytometers that lead to the need for compensation. 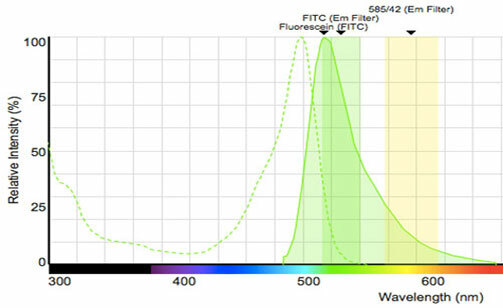 The problem comes in when we wish to measure this fluorescein signal. As we’ve discussed previously flow cytometers use photomultiplier tubes (PMT) to convert photons to electrons. PMTs will generate a photocurrent if any photon strikes them; therefore, we use filters to restrict the light going to each PMT. 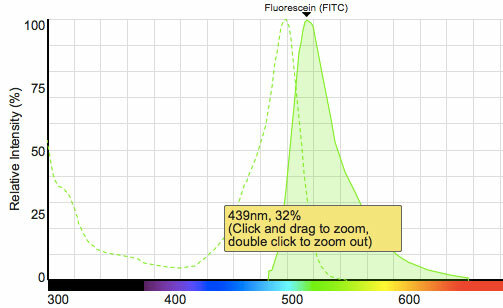 In Figure 2, below, the fluorescein signal is being measured in the BandPass 530/30 filter. However, as you can see, there is a percentage of this signal also in the 585/42 filter (approximately 12%). This is the spillover of fluorescein into the phycoerythrin (PE) channel. At the most simple level, we are calculating a slope of the line drawn between the medians of the unstained and the fully stained populations. 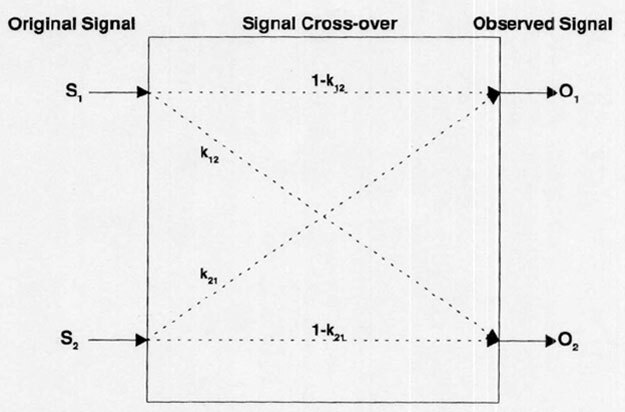 As shown in Figure 4, that slope is what we then use to correct our signals. Originally published on May 6, 2013. Updated and revised on August 11, 2015.